but have you remembered to pay attention to what should be removed? if you have experience, your resume should show it. 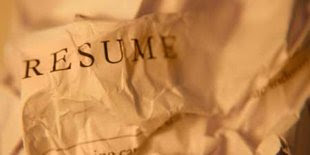 After all, your resume is the professional you - your life, experiences - everything that makes you a better candidates. And that doesn't mean you scrimp on the print cost and use a small font-size and abbreviated descriptions so that it all fits into one page. If you've lived large, your resume should be large. Everybody being interviewed has a degree. What do you have (i.e. work experience) that sets you apart. And not only do you need to mention work experience, but your accomplishments - they further set you apart. 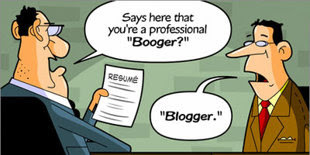 The paper your resume is printed on shouldn't be of an inferior quality. While most cyber cafes stock high quality paper, this is still worth paying attention to. A discerning HR at a premium company might be turned off by faded yellowing paper. And only A4! A hobby is a activity you do in your leisure time. There's nothing wrong with watching TV as a hobby, but the HR interviewing you views your hobbies as an extension of your productivity, and will ask you questions about it. Times New Roman, Helvetica and Arial are your friends. Comic Sans is not. 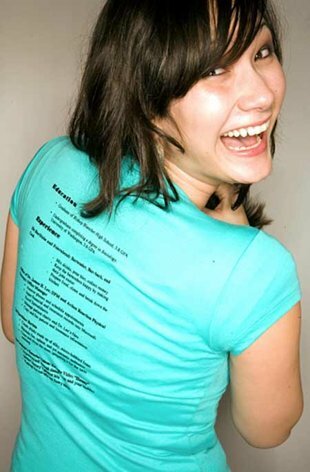 That said, be safe with only one font for all headings, subheadings and descriptions. Not allowed. Use short sentences, small, words. If you're still unsure, have it checked out by someone who knows the language better than you. If you're caught, not only will you be banned from the company, but you also might be blacklisted from a lot of allied companies. This one is optional, but it is still advisable to change your email username from something irritating (e.g. handsomehunk@mail.net to something simple. The easiest? your name@email. An HR will laugh at "May I bring to your esteemed attention…"in your covering letter, or any attempts at projecting a grandiose image of yourself. The real you will be sitting right in front of the interviewer in a few days, not the resume.